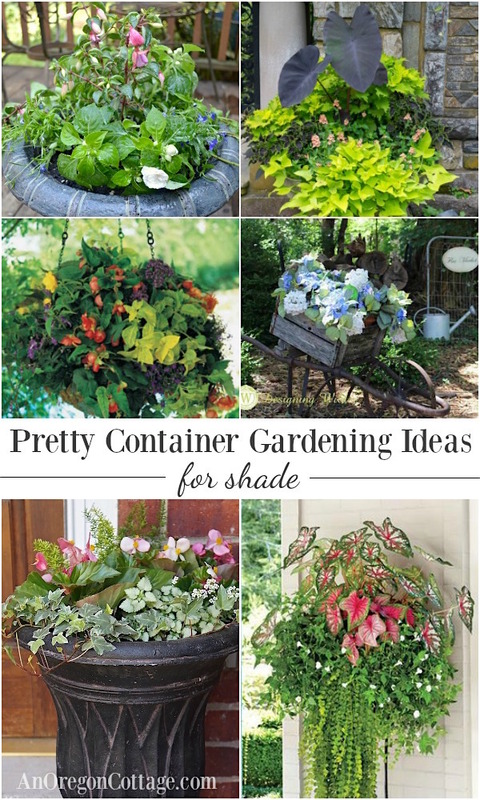 Use these container gardening ideas for shade as inspiration for your own planting schemes in areas where you have partial to full sun like porches and under trees. 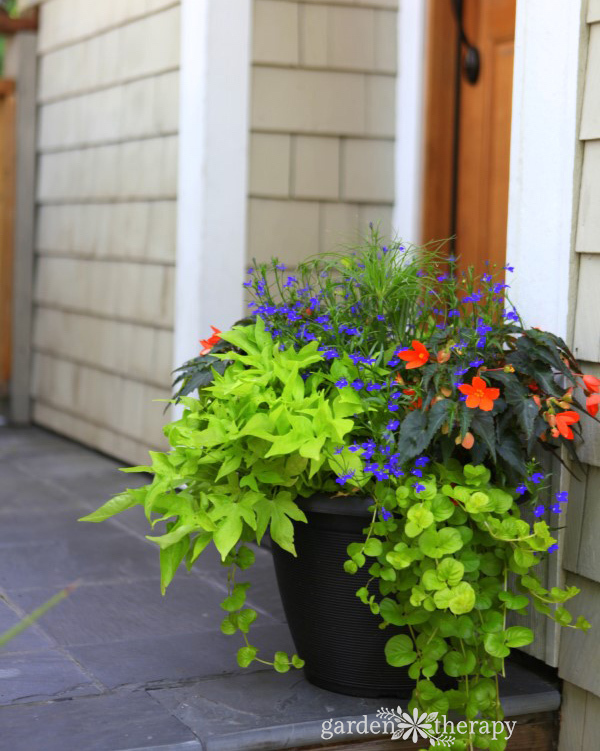 Do you have shady areas that could use a bit of color or interest? A porch that could use some curb appeal? A north-facing patio? Or even an area under a tree that has a hard time growing plants in the soil? 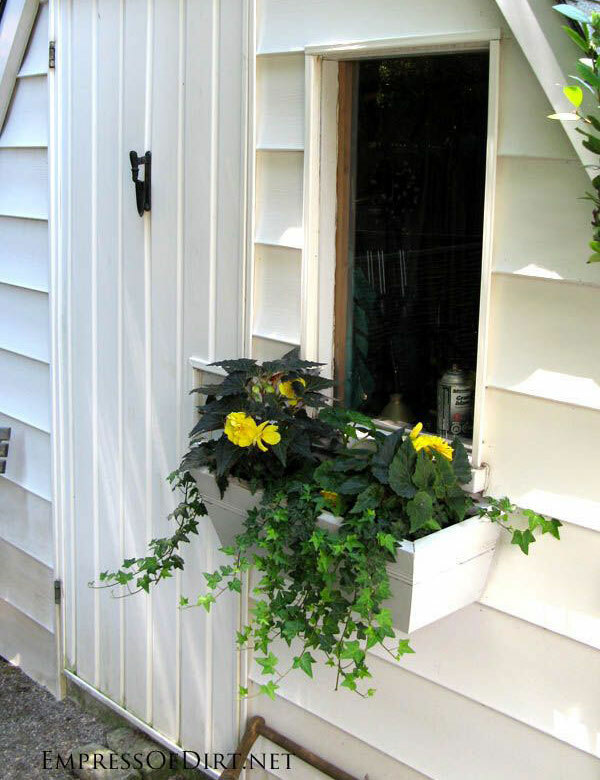 What grows well shade containers? I used to think there were only 3 choices: fuchsias, begonias, and impatiens. 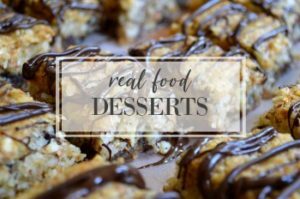 And I would just buy some, stick them in a pot and call it good. While that’s not bad (they are pretty after all), I was certainly missing out on how beautiful I could make shade-loving containers. 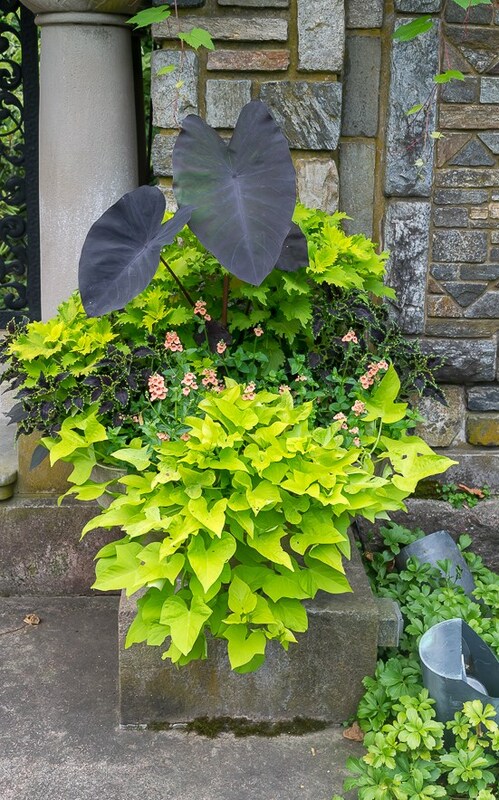 Adding just a few more plants that thrive in shade like coleus, lamium, ferns, and especially trailing plants, my pots could’ve literally glowed in the shade (if you’ve seen bright green sweet potato vine growing like this, you know what I’m talking about). When I finally realized what I was missing and added some of these plants I learned how fun it is to create something so pretty that keeps on growing, changing, and giving joy throughout the gardening season – and sometimes beyond as it the case with ivy and creeping jenny. 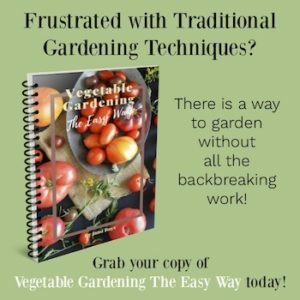 I doubt I’m alone in my misconceptions about the kind of planters you can successfully grow in shade, so I rounded up 12 container gardening ideas for you – one of my own planter recipes and eleven from bloggers and websites you can click through to visit. 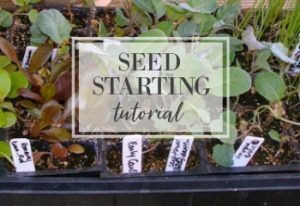 This was SO fun to put together – I found some amazing planters that I look forward to creating and I hope you do, too! 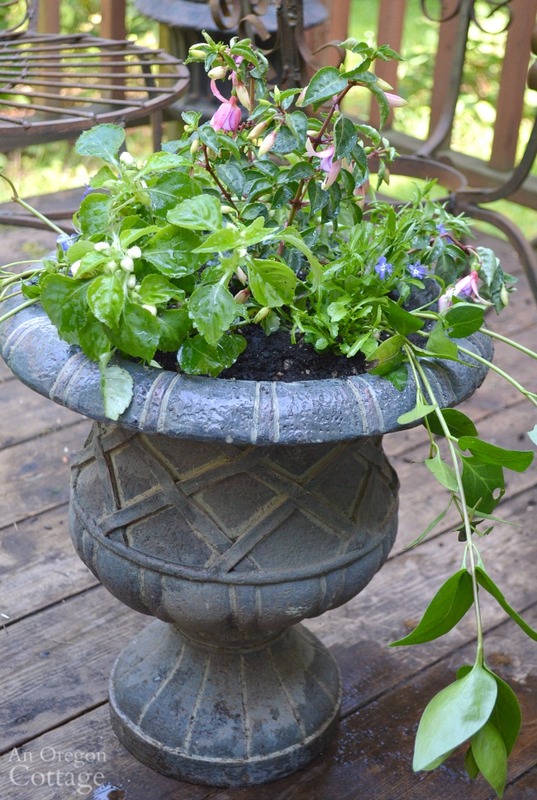 One of my favorite container gardening ‘recipes’ for shady areas: upright fuchsia, impatiens, lobelia, and vinca minor. 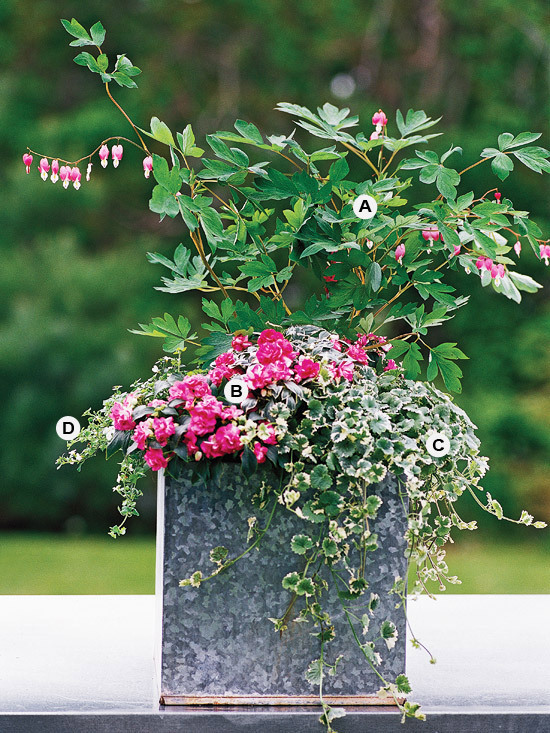 Get the exact flowers and how-to video here. Pink & peach box for north-facing windows + window box planting tutorial at An Extraordinary Day. Elephant ears, coleus, diascia, and sweet potato vine at Nourish and Nestle. 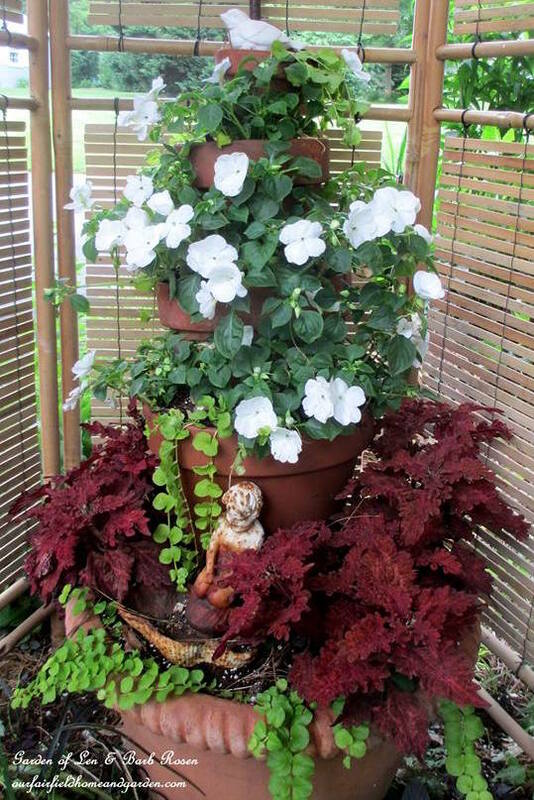 A simple but stunning combo of caladiums, wishbone flower, creeping jenny at Southern Living. Begonia, coleus, lamium, and creeping charlie at Flower Patch Farmhouse. Lobelia, sweet potato vine, creeping jenny and an orange tuberous begonia at Garden Therapy. 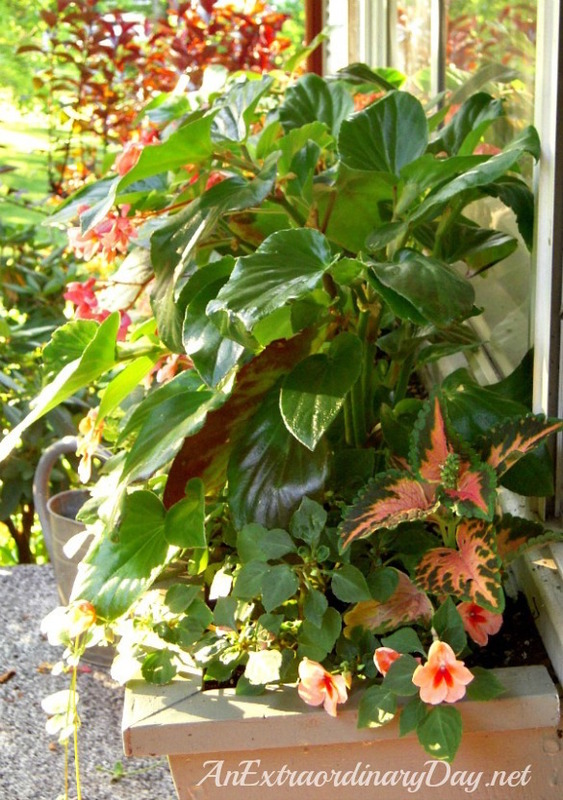 A window box of tuberous begonia and miniature ivy at Empress of Dirt. 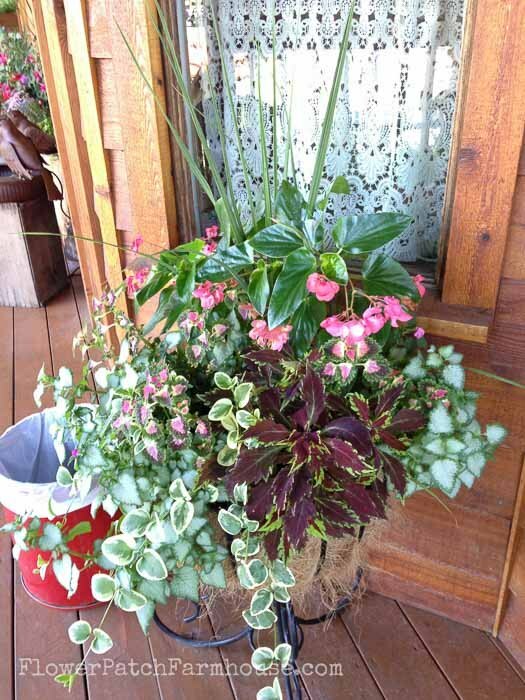 Tiered planter of impatiens, coleus, and creeping jenny at Our Fairfield Home. 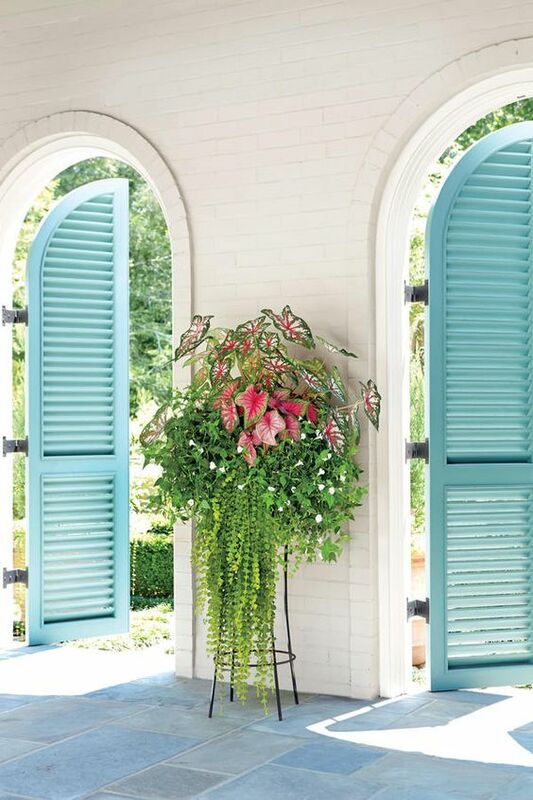 Begonia, English ivy, lamium, alyssum, and asparagus fern porch container at Lost and Found Decor. 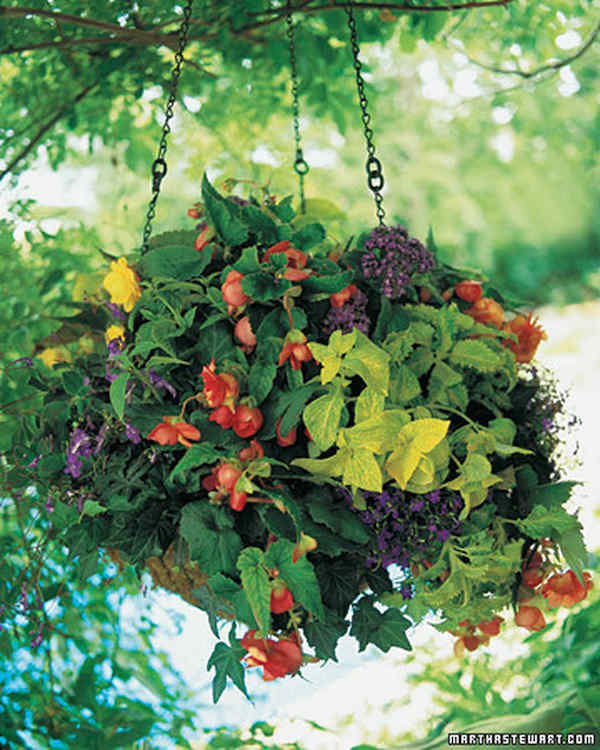 Begonia, heliotrope, coleus, ivy, and lobelia hanging basket at Martha Stewart. 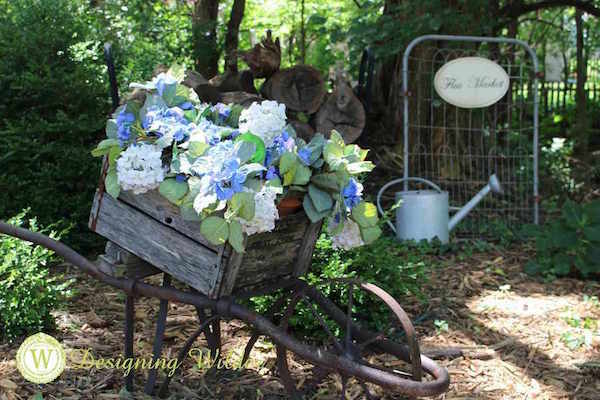 Hydrangeas in apple-crate-wheel-barrow at Designing Wilder. 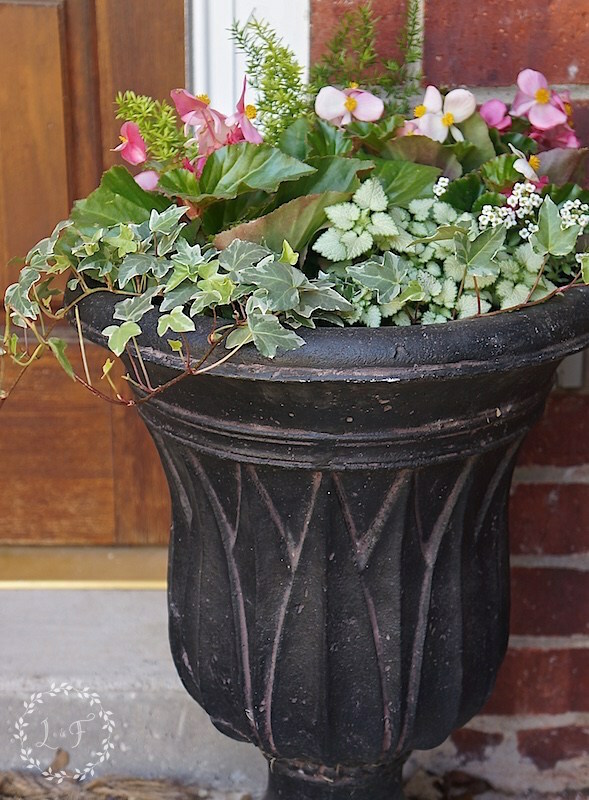 Creating containers for shady areas can be challenging, but as these pots show, it’s doable and they can be just as beautiful as sunny flower pots! Love all of these ideas Jami, & coleus are so versatile with their different colours, my hanging basket this year is basic & simple, I have also chosen lobelia, mixed colours & trailing, which will go around the edge, then white impatiens, & begonia ‘rose petticoat’ in the centre, which changes colour as it matures, a sunny day is forecast here in the UK tomorrow so will get them planted up then, I’m going to the garden centre on Friday & will have a look at the coleus, I have a gap to fill between two lemon Alstroemeria’s, & the purple would look lovely, though I love white bleeding heart, French lavender & fuchsia too, oh, now look what you’ve done!! lol. Ha, the plant lust is always there, right? 😉 Your hanging basket sounds perfect – I can easily picture that, so pretty.